Channel Zero: Candle Cove is a handsome disappointment. There’s so much to like in the first few episodes that, at first, its failures are elusive. The performances are quiet, intense, and barely off-kilter, with dialogue to match. Relationships and conflicts come across in eloquent gestures, like a finger hesitating over a “Send” button or a glance held a fraction too long. Visually, it’s striking but not showy. Settings are lived-in and distinctive enough to establish different locations and times at a glance. Craig William MacNeill, who directs all six episodes of the horror anthology’s first season, creates uneasy vignettes that make the familiar foreboding. In the first four hours, the most chilling scenes revolve around long, ominous moments of unease. But ultimately, there’s too much static in this story to sustain its tension. Sustaining the story was always going to be the biggest challenge of converting creepypasta—the internet-age equivalent of a campfire tale—to a longer narrative. Unfortunately, Channel Zero: Candle Cove is derivative, but not of Kris Straub’s taut little fiction. 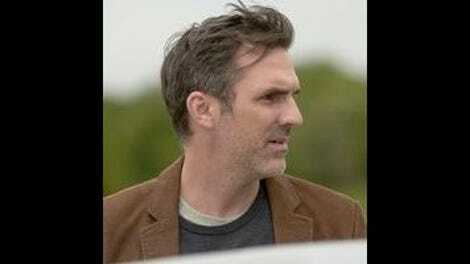 Paul Schneider stars as Dr. Mike Painter, dubbed by the talk-show circuit as “America’s child psychologist.” But Mike is haunted by his own past. Driven by impulses he can’t define, he returns to his hometown of Iron Hill, Ohio, hoping to learn who—or what—killed five children there, including his twin brother Eddie (Luca Villacis, playing both boys in flashbacks). This plot—a lot of padding over the skeleton that is the original Candle Cove—owes much to Stephen King’s It. 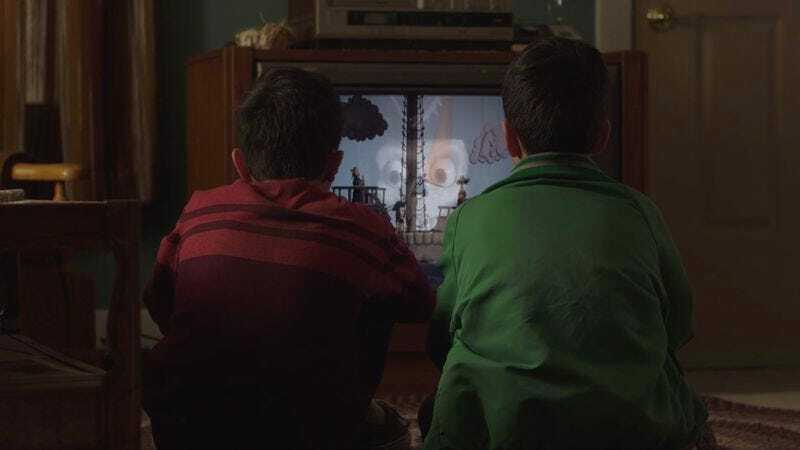 Mike’s journey home is intercut with scenes of the twin brothers playing together, setting up the dual storylines Channel Zero: Candle Cove will follow. Marla Painter (Fiona Shaw), his mother, greets him with wary surprise: “Every two years, someone turns up in Iron Hill to solve those murders. I’ve always been afraid that one day it would be you.” Their conversation, with its false starts, long pauses, and interruptions, is poignant, potent, and filled with ambivalence. That ambivalence is shared by Mike’s old friends. “Past troubles aside, we’re a little more Partridge family than Manson family around here,” says his old classmate, now Iron Hill’s sheriff. But Mike’s visit evokes memories long repressed: of the murders, and of the short-lived pirate broadcast that coincided with them. Kris Straub’s original story structure, a web forum where users gradually cobble together their memories of a barely remembered children’s television program called Candle Cove, is adeptly refashioned as dinner-party chatter among reunited friends—and enemies. Seated between his childhood bully and his first love, Mike listens to their mingled nostalgia and fear over the amateurish puppet show starring Pirate Percy, Jawbone, and Horace Horrible. The childhood program Candle Cove turns out to be as big a mystery as the murders, if less gruesome. It aired intermittently on random channels; children had to seek it out. “Pirate signal for a pirate show,” a lifelong fan of the show tells Marla. Its fuzzy, faintly grotesque clips are appropriately modest: puppets with strings clearly visible, simple practical effects creating the barest minimum of set and scene, and just a hint of horror in the pacing and presentation. The silent scenes of children—then and now—watching with blank-eyed fascination, vacantly receptive to the message of this underground show, are just as haunting. Although the first episode is full of building dread and possibilities, as the season wears on, what was creeping ambiguity becomes monotony. Any given scene of Channel Zero: Candle Cove looks promising in isolation, with its patient unwinding of the uncanny. But what initially seems like patience becomes plodding. The story deploys its shocks erratically, making the same big revelations (including the unveiling of a villain) episode after episode, gradually robbing them of effect, and occasionally making them unintentionally funny. Dynamics and timelines that should intertwine instead feel fractured. In its first go-round, Channel Zero’s allusions are precise. Mike’s past name-checks The Shining’s Stovington, diner scenes call to mind Twin Peaks, and a DJ even throws in a nod to WKRP In Cincinnati. But however broad its background, however pensive its stage-setting, or however outlandish its monsters, once the action gets rolling, the series is awash in tired tropes and worn-out jolts. Impossible scenarios are revealed again and again to be just that: impossible. Figures looming in the dark are scary once, predictable a second time, and laughable after a while. The big twist revealed at the end of the premiere episode—already known to those who’ve read the creepypasta—fails to inform any choices or conversations in the next few episodes. Omissions like this undermine the credibility earned by the limited series’ initial restraint and its actors’ sensitive portrayals. With its thoughtful, understated performances and visuals and its frank embrace of uncertainty, this show should be compulsively watchable. Instead, the repetitive plotting and clumsy scares punctuating Channel Zero: Candle Cove fill a stylish, spooky story with unwelcome static.